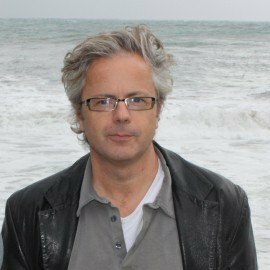 Stephen is a novelist, scriptwriter and director. 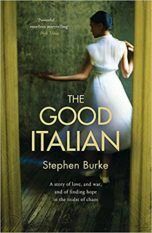 His first novel The Good Italian sold to Hodder & Stoughton in a two-book deal. Set in Eritrea in 1935 when it was an Italian colony, it tells the story of Enzo, a shy Italian man who is the harbour master in Massawa. His life is transformed when he starts a relationship with his Eritrean maid, Aatifa. Then the Italian government introduces a law forbidding all Italian men from having relationships with native women. The book was short-listed for the Historical Writers Association Debut Crown Award and the Romantic Novelists Association Historical Fiction Award. 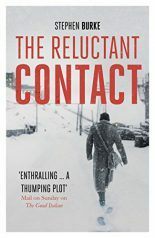 His second novel, The Reluctant Contact, was published in September 2017. This spy thriller, murder mystery and love story, takes place in the former Soviet mining town, Pyramiden, during the twenty-four-hour darkness of an Arctic winter.